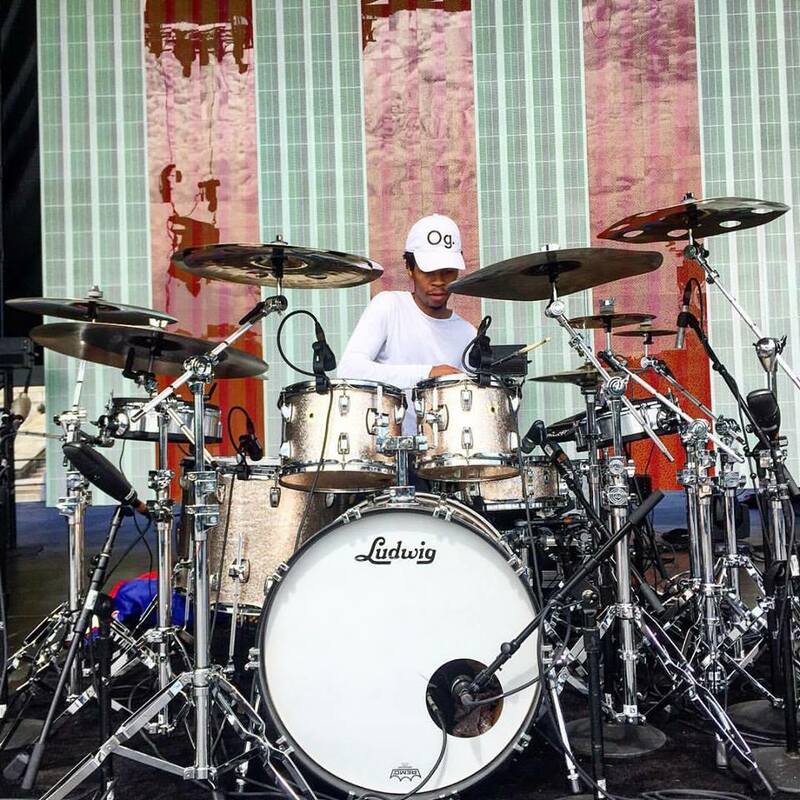 A seal of approval from one of the most esteemed and iconic drummers in modern hip-hop Questlove is just the beginning of Gregory Landfair, Jr's growing list of accomplishments. 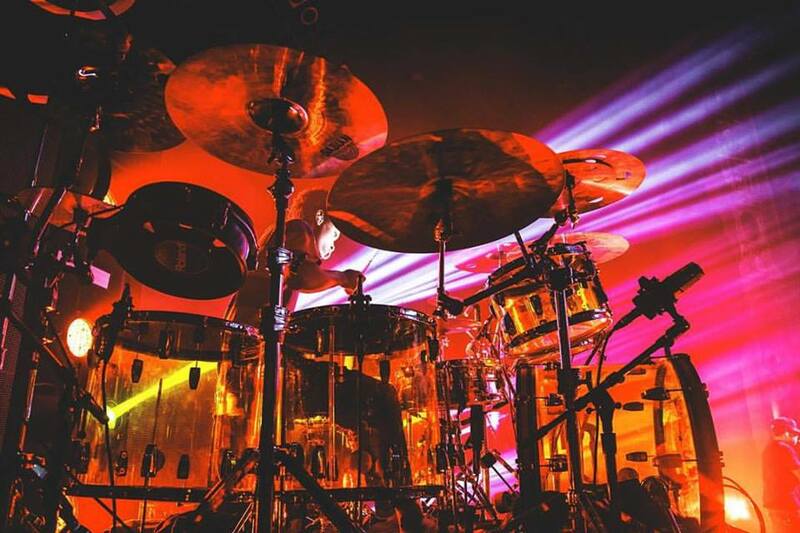 At the budding age of 19, Landfair has proven himself as a rising talent to keep an eye on in the world of drumming. 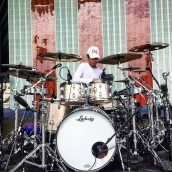 Greg Landfair started drumming just six short years ago as a freshman in high school. He played in his basement, at church, and with his father's band, Fresh Oil. By sixteen he took second place in the national Next Great Drummer competition, second only to a veteran drummer twice his age. By 19 he played along side Frank Ocean at Coachella in 2012. He attended Merit School of Music studying jazz drumming, and it was here that he met members of what would become his current band, Kids These Days. A diverse mixture of genres ranging from hip-hop to classical to blues defines the unique sound of Kids These Days. The band has been written about in several widely circulated publications including the New York Times and the Wall Street Journal. This year alone Landfair and KTD have toured North America, playing at legendary festivals like Lollapalooza in the band's hometown of Chicago, Summerfest in Milwaukee, and the Ottawa Bluesfest. Landfair and a few of the bands members were even featured on an Adidas national commercial campaign. The band has also done special performances for Dwyane Wade of the Miami Heat at the Chicago Theatre, Rahm Emanuel's Inauguration in Grant Park, and a Late Night TV performance on Conan O'Brian. Other accomplishments include being musical director for VH1's Do Something awards, collaborations with Chicago hip-hop artist GLC, ZZWards debut album, performances with Dom Kennedy, Kid Cudi, George Clinton, The Roots, Cool Kids, Mac Miller, Chip Tha Ripper, Snoop Dogg, Chicago (the band), Tedischi Trucks, and even radio plays with band Kids These Days on stations WGCI 107.5 and B96 96.3.